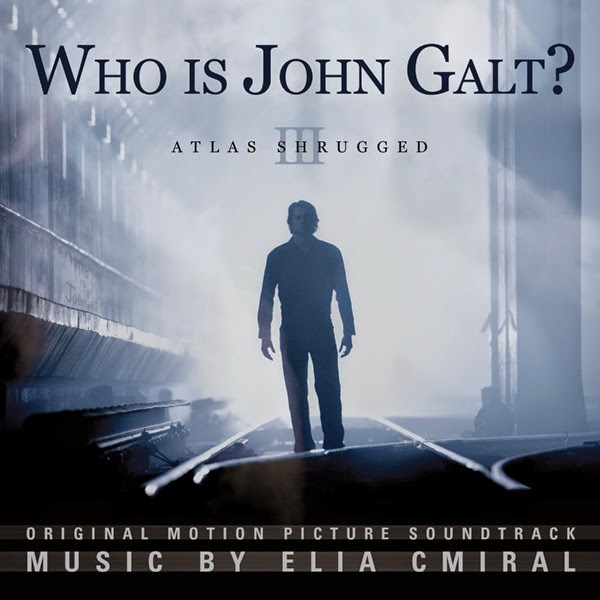 Composer Elia Cmiral (WICKED BLOOD, ATLAS SHRUGGED PART 1) is proud to announce the release of the ATLAS SHRUGGED: WHO IS JOHN GALT? – Motion Picture Soundtrack. Cmiral previously composed the first film of the trilogy, based on the renowned and influential novel ATLAS SHRUGGED, by Ayn Rand. The third and final film of the ATLAS SHRUGGED trilogy begins after 12 years of suffering mysterious disappearances of society's most-productive, the nation’s economy is on the verge of collapse. In response, the government pursues policies imposing even greater brutality against those remaining. One man has the answer. One woman determined to keep the world running stands in his way. He swore by his life. She swore to stop him. “I feel fortunate to have been the composer for a rare project, in which I could passionately merge musical expression with philosophical concepts,” said Cmiral. Atlas Productions presents ATLAS SHRUGGED: WHO IS JOHN GALT? currently in theaters. The ATLAS SHRUGGED: WHO IS JOHN GALT? - Original Motion Picture Soundtrack is currently available digitally on CD directly from Atlas Productions, and will be available via iTunes and Amazon.com later this month.